Rishabh Steel Industries is leading manufacturer, exporter and supplier of BS 4504 Flanges, a British metric standard that covers circular flanges for pipes, valves and fittings, covering flanges in DN sizes, with a nominal pressure range between PN 2.5 TO PN 40; it was previously known as BS 4504: 1969. We are competent to fulfill your BS 4504 Forged Flanges needs, these flanges are favourable to use under stringent conditions, especially in low-pressure applications in the oil industry. Rishabh Steel Industries is One Of The Largest Manufacturers Of Flanges as per BS 4504 in India. BS 4504 PN16 Flanges has excellent resistance to chloride-ion stress-corrosion cracking (Corrosion Resistant) , and as well shows appropriate resistance to a number of oxidizing environments. BS 4504 Blind Flanges (BLRF) and BS 4504 Slip On Flanges (SORF) are very much resistant to chemical corrosion and oxidation (corrosion resistant), and has some high stress-rupture effectiveness and low creep rates under high stresses at temperatures (Melting Point: 1510 °C or 2750 °F) after suitable Heat Treatment.Our BS4504 Flanges are accessible to our valuable customers in different range of diameters (d), wall thicknesses (w) and sizes (nom. Pipe Size) in customized form (as per customer requirment or order requirment) and also at quite affordable rates (Best Price In India). Meanwhile, we offer different types of these fitting such as (We Manufacture And Supply Other Types Of Flanges such as) BS 4504 PN 10 Flanges, Stainless Steel BS 4504 Threaded Flanges, BS 4504 PN 40 Flanges, BS 4504 PN 6 Flanges. Our Best Offers On Wide Range Of BS 4504 Flanges such as BS 4504 Slip On Flanges (SORF), BS 4504 Plate Flanges, BS 4504 Weld Neck Flanges, BS 4504 Socket Weld Flanges, BS 4504 Blind Flanges, BS4504 Threaded Flanges (RTJ), BS4504 Slip on Flanges, BS 4504 Screwed / Threaded Flanges, BS 4504 Reducing Flanges, BS 4504 Square Flanges, etc. 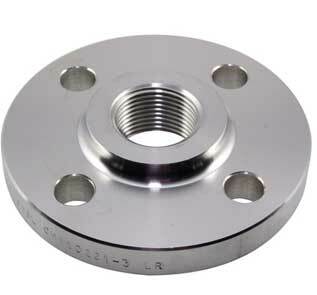 Buy at best price from BS 4504 PN 40 Flange manufacturers in Australia, UAE, Qatar, India, Singapore, Dubai, UK and South Africa. Visit BS4504 PN 16 Blind Flange manufacturers factory in India, Contact us for BS4504 Slip On Flange free sample.Save up to 40% on Flange BS4504. Please note this is an approx Price of BS 4504 Flange in India. For final BS 4504 Flange price in India please contact us. 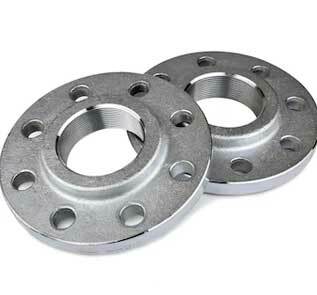 High quality BS 4504 Flange manufacturers in India offer these Carbon Steel BS 4504 Flange in DIN, EN, BS, ISO, JIS or ANSI standard. Brass BS 4504 Flange 3602 / 2604 / H59 / H62 / etc. Aluminium BS 4504 Flange 5052 /6061/ 6063 / 2017 / 7075 / etc. Rishabh Steel Industries is a exporter, manufacturer and supplier of BS 4504 Slip On Flange offering in all Ratings up to 850°F, built a distribution network with more then 50 countries worldwide. Manufacturing BS 4504 Flange in India, Rishabh Steel Industries holds a wide array of BS 4504 Standard Flange in all Sizes and Thickness, stock for immediate despatch throughout India & globally. Rishabh Steel Industries is a Govt. 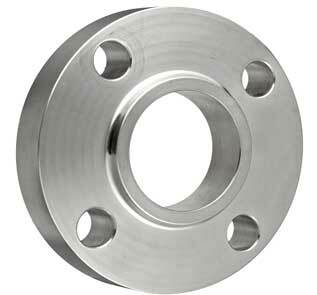 approved Carbon Steel BS 4504 Flange exporter in India. Our offered Stainless Steel BS 4504 Flange are manufactured and tested tonational and international standards, and specifications as per ASTM, EN,DIN, JIS etc. Rishabh Steel Industries has reputed name as a trusted vendor of Alloy Steel BS 4504 Flange distributor & dealer in your country. We have largest independent inventory in Middle East, UK, Asia, GCC, Gulf to supply with over 30 countries, we provide after sales service and fast delivery.